The Schuhplattler certainly belongs to the most characteristic of all Bavarian forms of expression. The word “Schuhplattler” has its origins in the fact that the dancer strikes the soles of his shoes (‘Schuhe’) with his hands held flat (‘platt’). The ‘inventors’ were simple folk: farmers, hunters, woodsmen. It’s difficult to determine the exact origin and history of the dance. “Ruodlieb”, a knight’s poem written by a monk at Tegernsee monastery (not far south of Munich) in the year 1050, describes a village dance featuring “leaps and hand gestures” that could actually denote an early form of the Schuhplattler. During the dance, the boy was allowed to move however he liked to the melody of a ‘Laendler’ folk tune, i.e. he would make figures, leap, stomp and slap while his girl rotated in time with the music and did not join him until the waltz began. His unregimented, free ‘plattling’ was known as “Bavarian dancing”. From about the mid-1800s onward, the Schuhplattler dance moves became increasingly standardized and “group plattln” came into its own. On July 15, 1858, a Schuhplattler dance was performed in Upper Bavaria on the occasion of King Max II’s trip through the bavarian mountains. In 1861, a “Gemuetlichkeit Club” was formed in Miesbach (also south of Munich, not far from the Austrian border), which changed its name to the “Schuhplattler Society” in 1866. 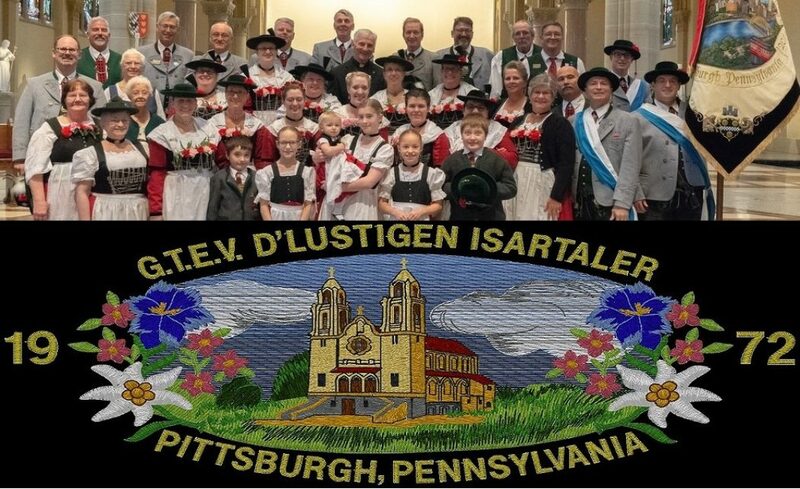 In 1883, Joseph Vogl founded the “Club for Preservation of Folk Costume in the Leizach Valley” in nearby Bayrischzell, and from that time onward, the phenomenon of regulated Schuhplatteln developed in the folk costume clubs. Over 125 years ago, the dialect poet Karl Stieler described the Schuhplattler so fittingly by comparing it with the courtship ritual of the wild grouse. And indeed, the Schuhplattler too began as a courtship dance, with each boy trying to outdo the other’s powerful leaps, dancing and intricate striking sequences to impress the girls. All this originally took place no-holds-barred without any sort of established figures or rules. Insiders can tell where a group comes from by the way they dance the plattler. Many clubs and regional societies have their own plattler dance, such as the famous “Reit im Winkler” and the “Haushamer”. The dance is normally performed in pairs, i.e. the boy turns his girl out, does the plattler to the ‘landler’ portion of the music, and then resumes dancing with the girl at the trio. In several regions, however, a different basic form known as the ‘reiner Burschenplattler’ (boys-only plattler) is practiced: the first dancer hits the floor and the rest follow him with slapping and snapping hand movements. When the melody repeats, the plattling begins. And it’s this form of the ‘reiner Burschenplattler’ to which our group is dedicated.